Just a quick note to make you aware of some semi-relevant changes. 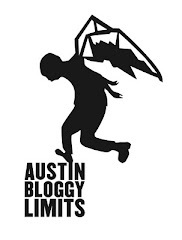 First and foremost, you may have already noticed you can find me at www.austinbloggylimits.COM now. I'm still hosted on Blogspot but now you don't have to type it. is now more relevant to the content of the site. So if you don't want to download the tracks from the artists I mention you can stream songs through the Project Playlist player. Also, Jason has helped me change my layout so now I can hide more content in those Read More links. The post about Shearwater Rooks is the first one to take advantage. But in the future look for more stuff after the jump by clicking the Read More link.